the one of FRAS FBC module. The Analog Forward Receiver - Standard (FRAS) is designed to plug into PBN’s latest generation Advanced Intelligent Multi-services Access platform - the AIMA3000. The FRAS is available in single port configurations. It incorporates a low noise front-end circuit that receives optical wavelengths from 1260 nm to 1620 nm and converts them into RF signals for Master Antenna Television (MATV), CATV, and broadband applications. The supported RF bandwidth is from 45 to 1218 MHz. The module offers a superior frequency response with a low distortion profile and low noise characteristics. 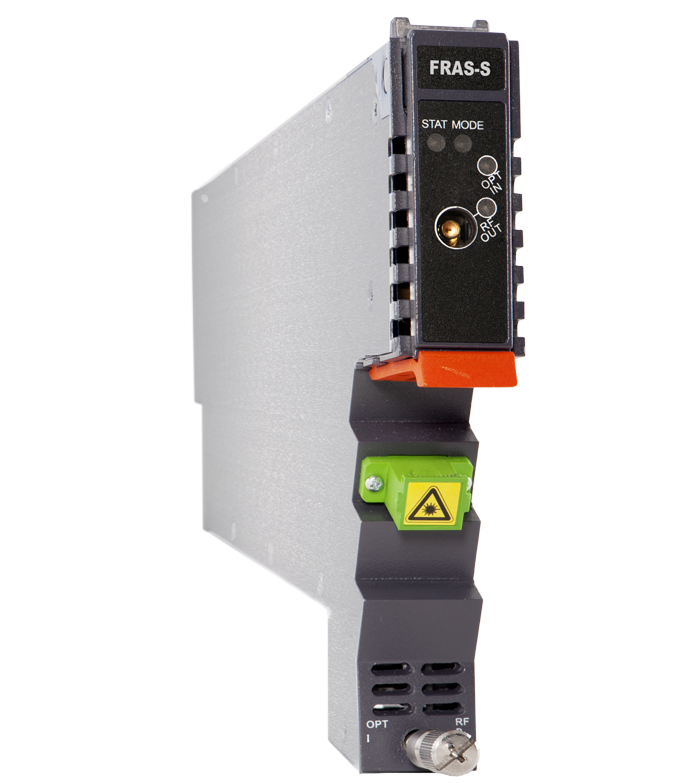 The FRAS optical receiver module features automatic gain control (AGC), which is based on broadband detection. The RF output AGC threshold level and the slope can be managed remotely. 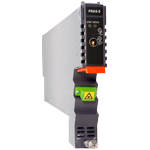 Based on broadband detection, this optical receiver module features automatic gain control (AGC). Also it supports managing RF output AGC threshold level and the slope remotely. 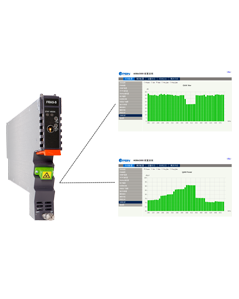 With the optional embedded Full Band Capture (FBC) module, it enables the operator to capture and monitor the spectrum and QAM demodulation data, including level of each channel, SNR, MER, BER, constellation and so on. Operators can get the metric of each QAM channel remotely. (1) Measured in a typical system with 0 dBm optical input, 3% ~ 4% OMI. (3) Loaded with 77 NTSC channels, measured with PBN referenced optical transmitter @ 0 dBm, 3% ~ 4% OMI. (1) Option for FBC Management configurations only. Please omit X when select a model without FBC function.